Korean Cryptocurrency Exchanges Pass KBA Regulatory Review – A Boost for Retail Investor Confidence! The Korean Blockchain Association inspected the security measures of Korean cryptocurrency exchanges. 12 exchanges passed the minimum standards required which included cold wallet storage, minimum total assets, and anti-money laundering requirements. These results may have a positive impact on the cryptocurrency market as it provides greater clarity on the security of cryptocurrency exchanges. The Korea Blockchain Association (KBA) found that 12 Korean cryptocurrency exchanges passed the minimum standards required when it came to cybersecurity measures. These included large exchanges like Bithumb, Korbit, and Gopax. The review and inspection occurred after the KBA launched a self-regulatory review and audit in May 2018. 14 exchanges were up for an audit. According to the Korea Herald, the 12 cryptocurrency exchanges that passed included Korea Digital Exchange (Dexco), CoinOne, NeoFrame, Coin Jest, Korbit, UPbit, OKCoin Korea, Gopax, Hanbit, Bithumb, Huobi Korea and Coin Plug (CPDAX). Komid and Sunny7 did not undertake the complete KBA audit. In terms of the minimum requirements, the KBA suggested that the cryptocurrency exchanges should have at least a cold wallet, minimum total assets, and anti-money laundering requirements. The 12 cryptocurrency exchanges mentioned above have met this criterion. The chairman of KBA’s self-regulatory committee, Jhun Ha-jin, did, however, mention that there were some security flaws present in the 12 exchanges despite them passing the minimum requirements. He did not explain the problems to the media out of fear that it could ignite cyberattacks on the exchanges. Ha-jin also mentioned that meeting the minimum security requirements, however, does not mean that the exchanges are immune from any hacking attempts. According to The News Asia, there’s not much information on whether banks accounts should be provided for new users. Those who are skeptical of Korean cryptocurrency exchanges believe that these exchanges should only have access to a bank account if they have the government’s Information Security Management System certification and are willing to adopt additional regulations. Ha-jin mentioned that, while the sanctions on Korean cryptocurrency exchange bank accounts are an issue, there are currently no association-led discussions on this issue with banks or Korean authorities. 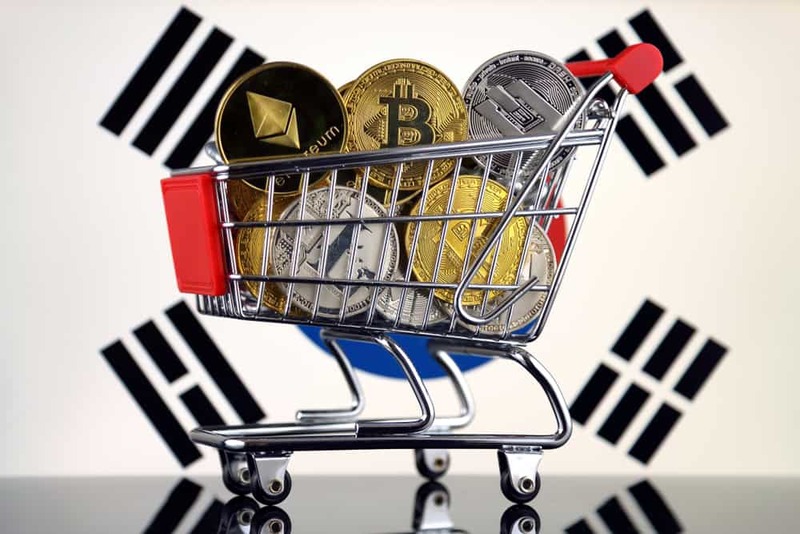 With Korean cryptocurrency exchanges meeting the minimum security measures required, The News Asia believes that this positive sentiment may boost retail investors confidence in the market. While there are many factors that contributed to Bitcoin’s slump as it fell below the $6,000 mark during the end of June, the South Korean cryptocurrency exchange hack on Bithumb and Coinrail were seen as contributing factors to the bearish market. Bithumb lost over $30 million while Coinrail lost over $40 million during the same period. Todd Colvin, an analyst from Ambrosino Brothers, told CNBC’s Futures Now that with greater clarity on issues concerning security, regulation, and accessibility, the cryptocurrency market could become more appealing to a risk-averse crowd. While the KBA investigation and review cemented greater assurance concerning security measures, it may also have an impact on regulations. The positive results from KBA’s regulatory review may help the Korean Government take a more favorable stance when it comes to cryptocurrency exchanges.